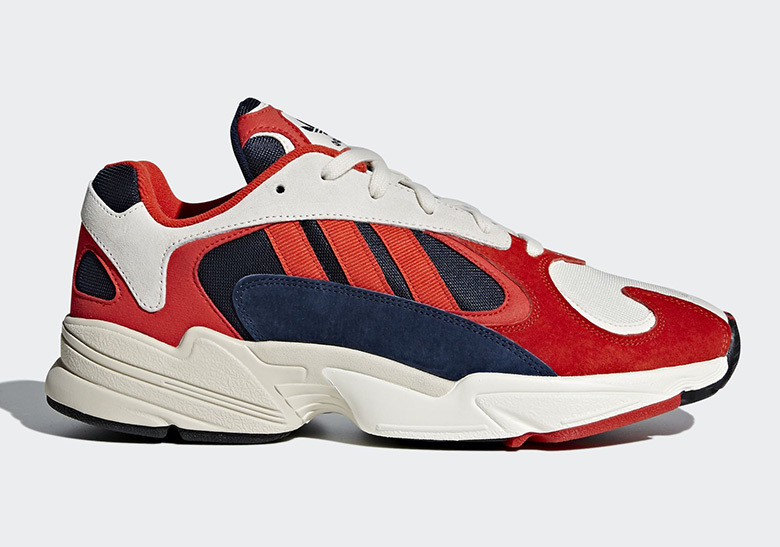 Originally previewed in the brand’s upcoming Dragon Ball Z collaboration, the retro-inspired YUNG-1 silhouette is finally here with updated release information. Inspired by the 1997 adidas Falcon Dorf model with a restructured tongue and unique adidas branding, the model seamlessly fits into today’s popular chunky sneaker aesthetic. Two colorways are set to debut in April, with one boisterous iteration that comes decked out in red with navy and white highlights, and the other in a much more subdued grey and beige make-up. Both pairs are slated to arrive at retailers across the pond on June 20th with a €130 price tag. Grab a look at both selections here and stay tuned for Stateside release details as they become available.